Our journalism program prepares students for professional success in a fast-moving field. In addition to advanced writing courses, students take courses in communication ethics, layout and design and digital media. 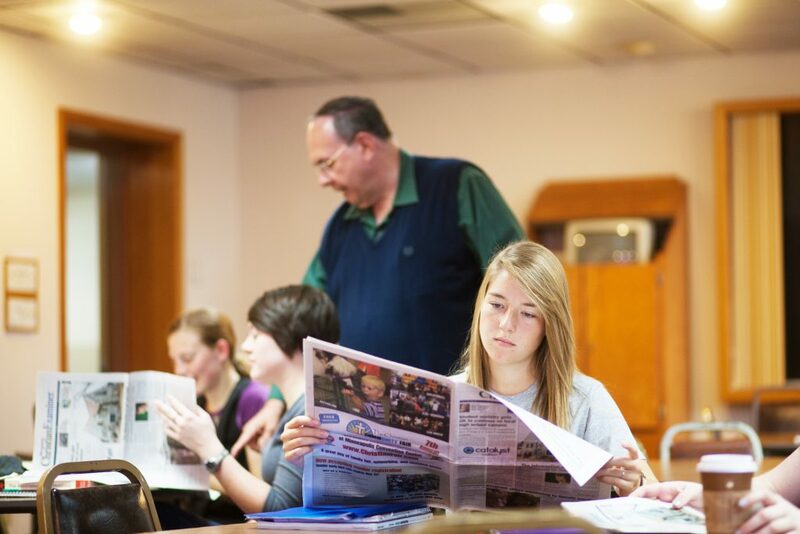 Journalism students hone their skills and build their portfolio through our campus newspaper, internships, and other professional development opportunities such as the Evangelical Press Association Conference.